Get back on your ride quickly with this ultra compact CO2 repair kit. 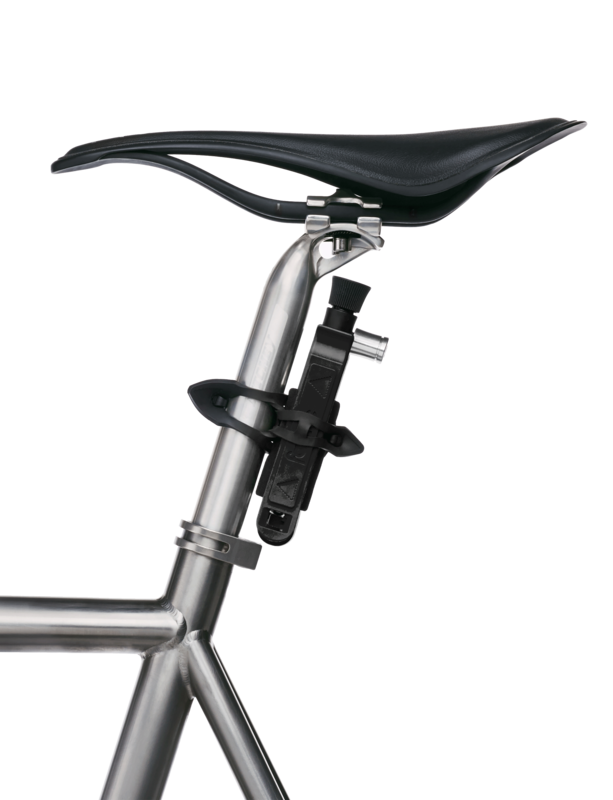 The simple, stylish and lightweight kit fixes to your seatpost. 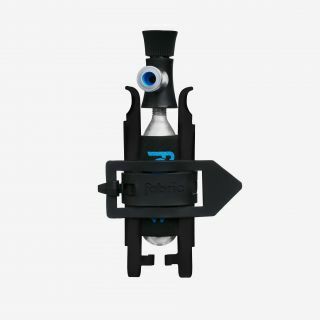 It comes with two 16g CO2 cartridges, two glass fibre levers, two durable silicone bands and an adaptive Presta/Schrader compatible head with control valve. Quickly and efficiently repair a flat with a handy all-in-one kit that sits securely on your seatpost, stores neatly in a saddle bag, or in your jersey pocket. The inflator head offers precise control over the rate of inflation, so you can keep any remaining CO2 for the next flat. The inflator is Presta and Schrader compatible and can accept any 16mm threaded CO2 cartridges.